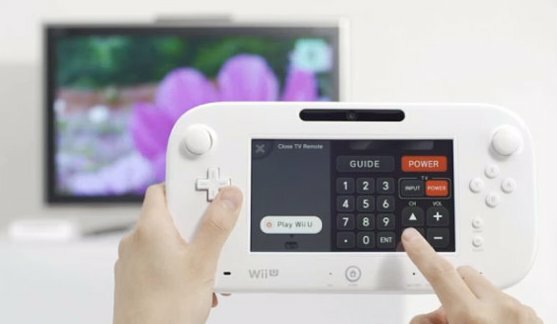 Engadget reports Nintendo showed off the final Wii U Gamepad controller at a E3 preview event. The Gamepad is decidedly wider than what we saw a year ago, with comfort clearly the top priority in other areas: the analog sticks have been moved further outwards and made clickable, while the back grip has been tweaked in the process. There's also no doubt as to where to interact with NFC gadgets, either, as a dedicated spot below the directional pad will take all your device-to-device taps. As for the remote, it looks to be a straightforward number pad navigator with a programming guide, all steering your TV through infrared. 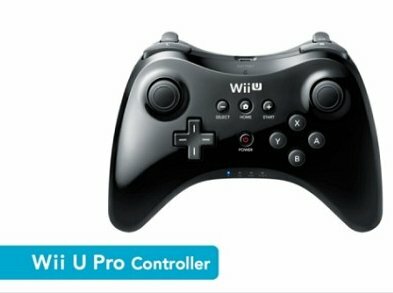 Additionally, Nintendo also previewed the Wii U Pro controller, which has a shape quite similar to Microsoft's Xbox 360 controller. The Wii U Pro controller features two joysticks and Nintendo's familiar function buttons.